Backstage in MS PROJECT 2010! What do we have here? 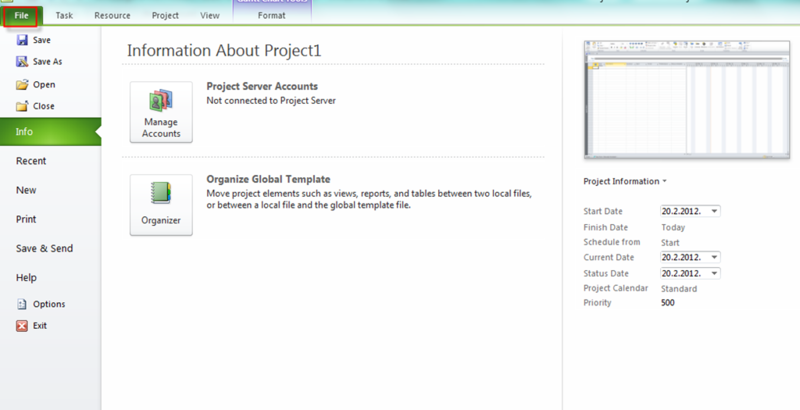 Hi, in Backstage View in Microsoft Project 2010 you can setup many parameters for using MS PROJECT 2010. I will cover some of them, because if I want to cover them all, this Post will be very, very long. 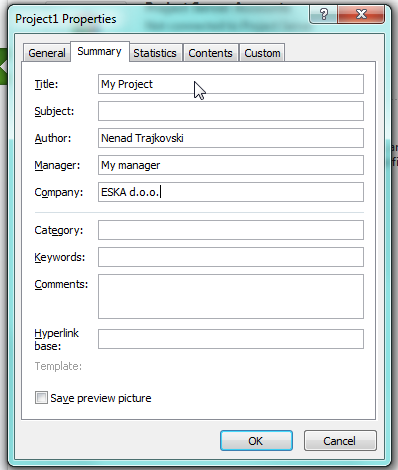 You can put some additional information about your Project. If you click on the Recent Part of the backstage you will get your recent opened file, so you can choose which one do you want to reopen. Print, Save and Send, and Help part are self explanatory so I will not cover them here. In General part you can choose Default Color Scheme, how do you want do display Screen tips, what is your Default View. when you open new Project, and default Date format. When you change something here, you should exit from your MS PROJECT 2010 and run it again before those changes are applied. Be aware, that if you change Default View, it will be default only for brand new Projects. What does it means? 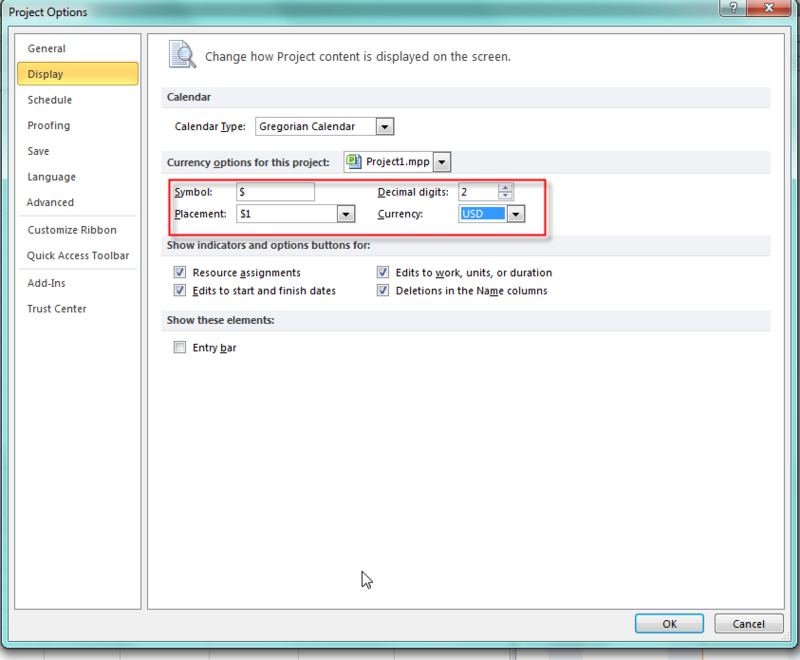 For example, in the Picture above you can see that default View is Gantt with Timeline. When you create brand new Project, this is the View you will get. 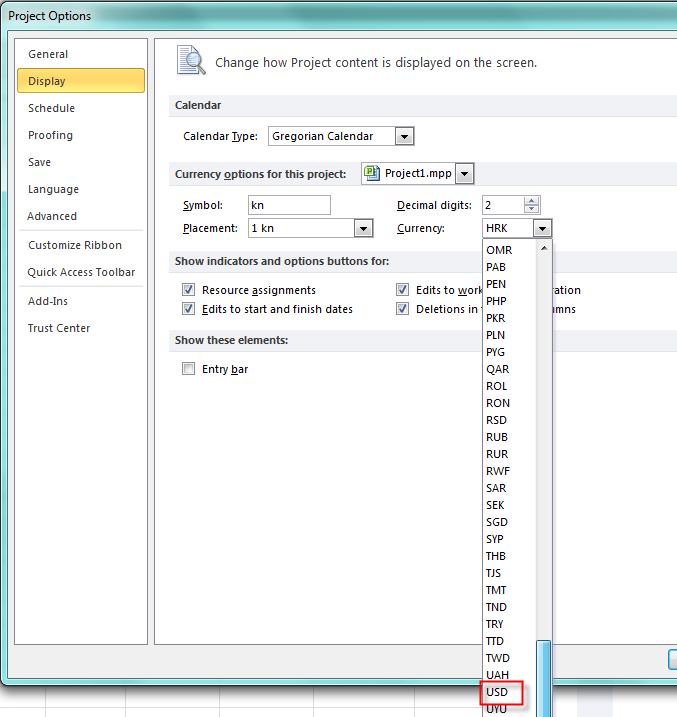 But, if you change the View in your Project (for instance in the Task Usage View), and save the Project, next time, when you open this particular Project again, you will get the Task Usage, not the Gant with Timeline View! I strongly suggest that you leave all options in Show Indicators and options buttons for checked, because those will help you to make a decision when you change some fields, and you will have to make decision upon that changes! 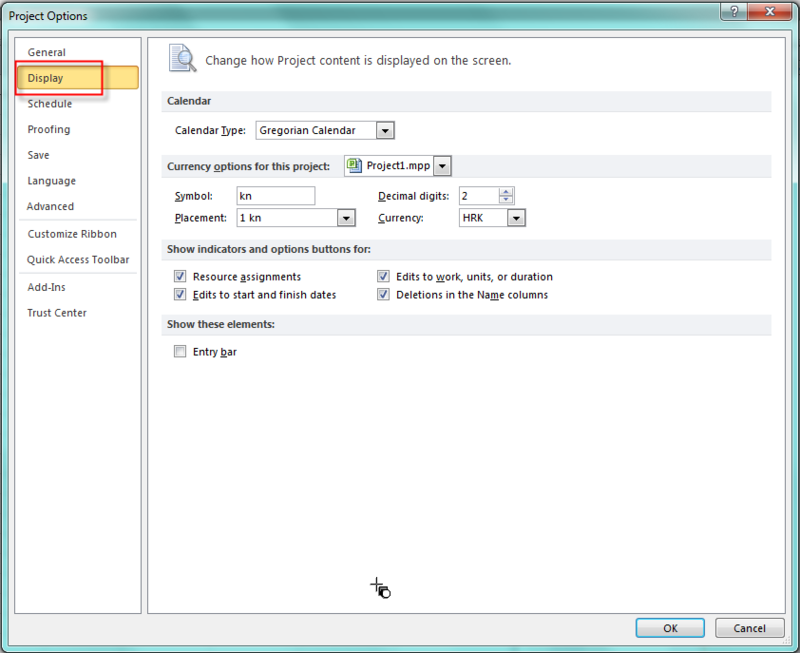 In Calendar for this project I can choose do I want to setup some stuff for Particular (e.g. Open Project), or for all Projects! You are already familiar with those Parameters because I wrote couple of Posts about them so I will not explain them again. 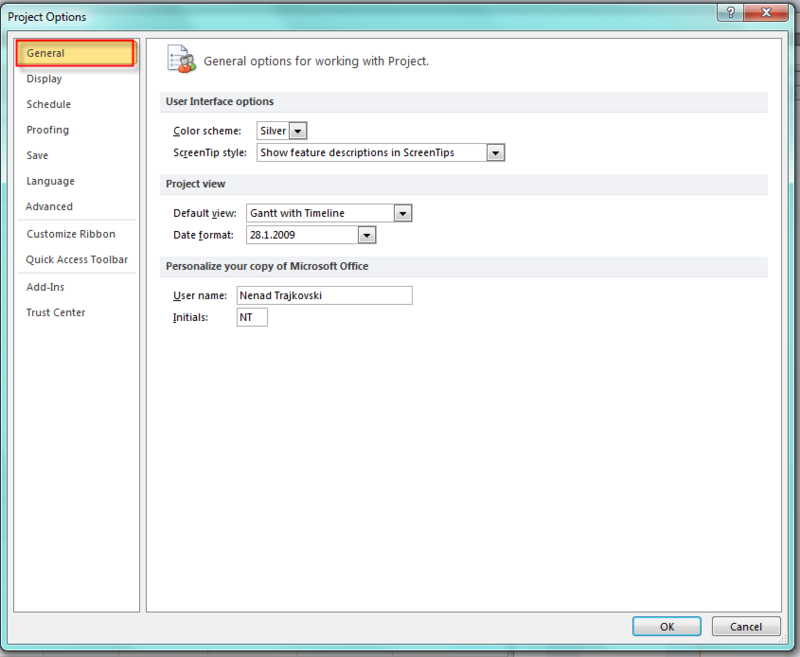 In Scheduling options for this project I can choose do I want to setup some stuff for Particular (e.g. Open Project), or for all Projects! 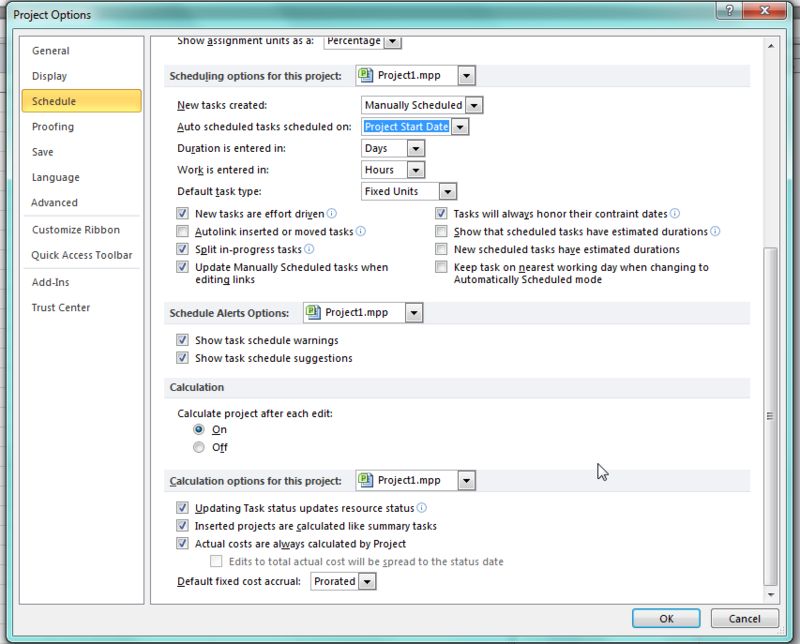 In New Task created you can choose between Manually or Auto scheduled task. 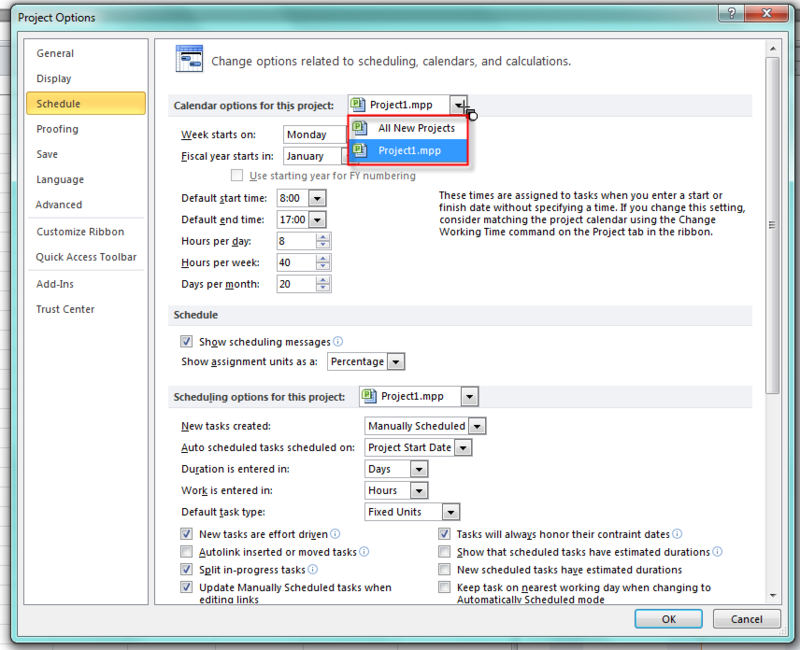 If you want to make a schedule from Project Start date leave the field Auto Scheduled task scheduled on as is, or change it to current date if you want that new tasks starts fro current date! Another 3 fields are self explanatory, so I will not cover them here. New Task are effort driven. What is this? Suppose that you have Task: Painting the wall, and you have assign John to that Task, and the Duration is 2 days! No suppose that you assign Peter on the same Task! If this Task is effort driven that means that John and Peter will finish the job sooner (More hand, light work rule). But now suppose that you have Read the book Task, and again you have John assigned to that Task, and the Duration is 2 days. Can John finish his reading sooner if you give a copy of book to Peter, and assign him to the same Task? No, it can not. In such case you should turn off this field! Keep all other fields as is instead the Default fixed cost accrual. You can choose between: Prorated, Start or End, and that means “when will your Project be charged with Tasks which have Fixed Cost?”. Those settings are just part of all available! If you want to learn more about them, you should examine them one by one and see what will going on when you change each of them. This entry was posted in MICROSOFT PROJECT, Microsoft PRoject 2010, MS PROJECT 2010, PMI, PRoject Management and tagged Microsoft Project 2010, MS PROJECT, MS PROJECT 2010, MS PROJECT 2010 - Backstage. Bookmark the permalink.